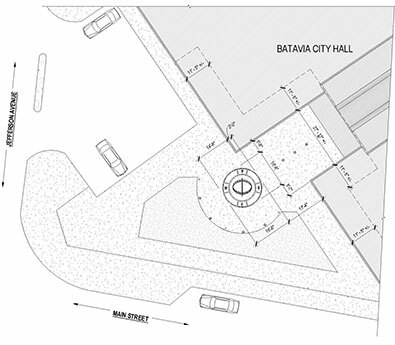 smartDESIGN designed an equatorial sundial to be installed in the plaza in front of City Hall to celebrate the centennial of the City of Batavia. The gnomon (needle) is parallel with the earth's axis, and the ring is parallel with the equatorial plane. As the earth rotates, this sundial rotates with it, and the shadow cast onto the inside of the ring by the gnomon marks the time of day. 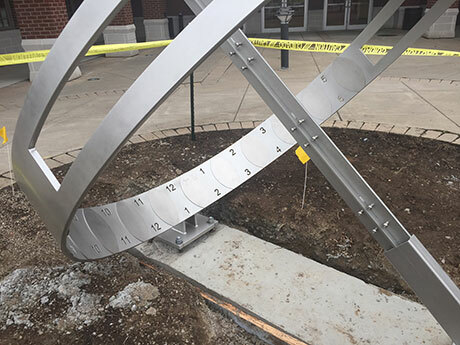 The ring is marked with numbers for Eastern Standard Time and Eastern Daylight Time so that it accurately represents the local time throughout the calendar year. 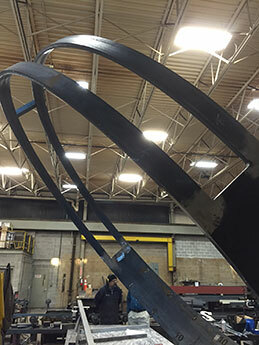 The ring is made of 3/4" galvanized steel plate and is 8' in diameter. 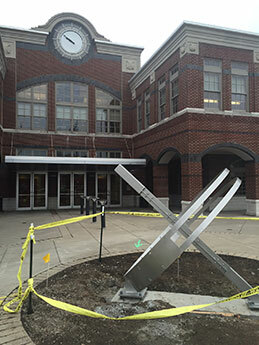 The needle is 10' long and is made with a 3"x6" galvanized steel tube, 1/2" galvanized steel plate, and 2x6 Teak wood. 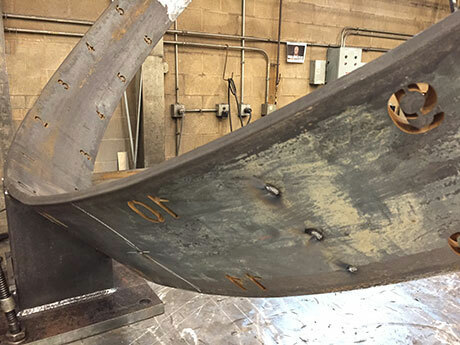 The steel is powder-coated to protect the steel from the weather and with a custom color to resemble the appearance of brushed stainless steel. The Teak is a tropical hardwood that is naturally weather-resistant and is often used for boat construction and outdoor furniture. 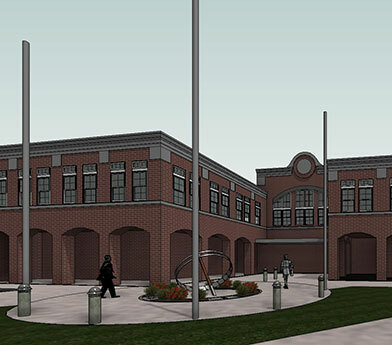 Depending on the preferred finish of the wood, it requires very little to no maintenance. 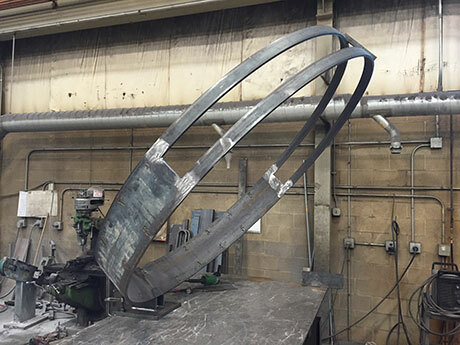 The combination of the metal and wood provides an attractive contrast that coordinates well with the wood panels with metal trim that are used in the entry lobby of City Hall and throughout the interior of the building.